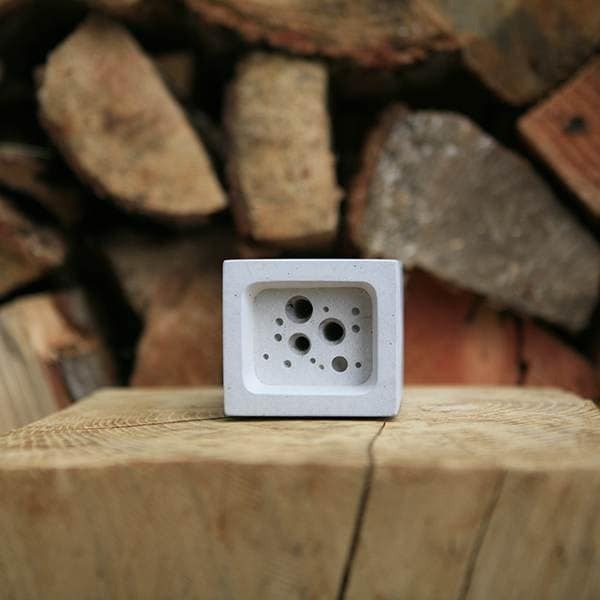 The bee brick is an innovative new product designed to provide a safe nesting site for the declining solitary bee population. Positioned as a freestanding bee nest in the garden or allotment, or as an integral part of a building, it provides additional habitats for bees in spaces where they may otherwise have been forced out. 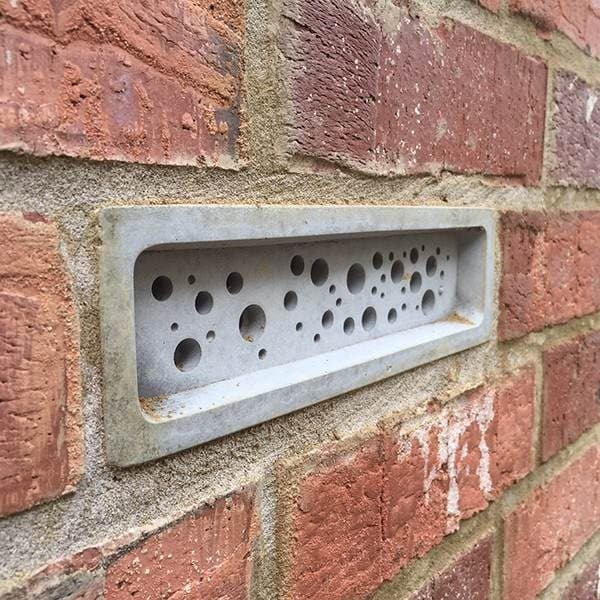 Each bee brick contains cavities for solitary bees to lay their eggs, moulded part way into the brick ensuring bees cannot enter the building. 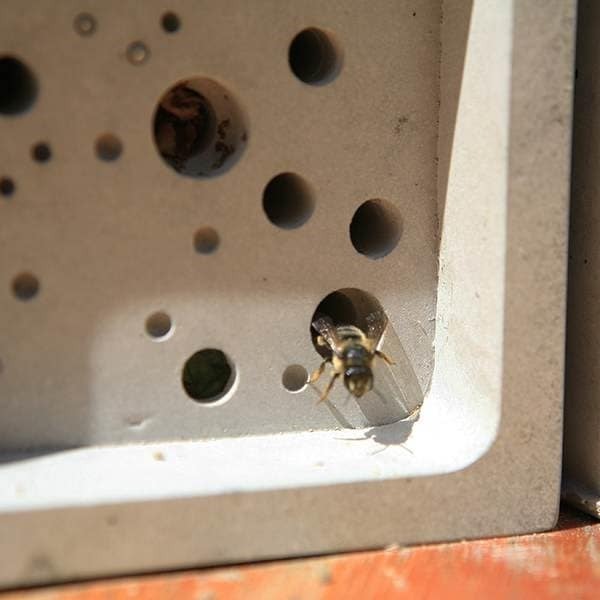 Bees lay their eggs inside the holes and seal the entrance with mud or chewed up vegetation, with offspring emerging the following spring to start the cycle again. For best results, place in a warm sunny spot, preferably south facing with no vegetation in front of the holes, around 1 metre from the ground. 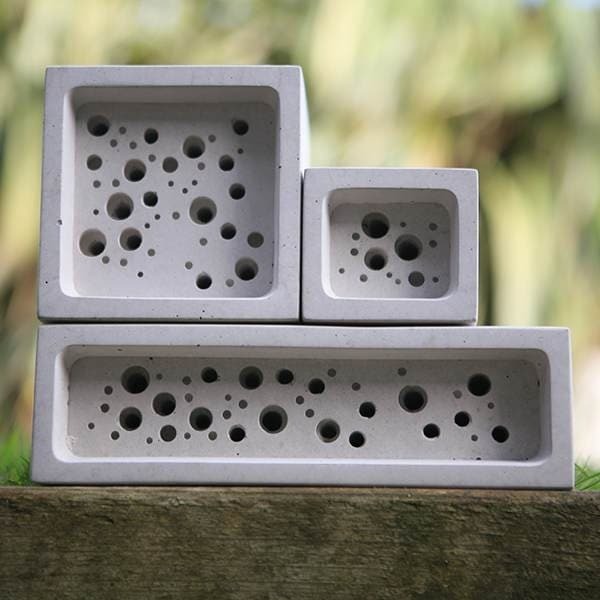 Designed and made by Green and Blue in Cornwall from polished cast concrete, the bee brick won the Soil Association’s 2014 Innovation Award, sponsored by the Duchy Future Farming Programme. The Programme works with farmers and researchers and focuses on low-cost, sustainable solutions that rely on management practices or renewable resources. It aims to boost innovation in organic and other low-input farming while improving productivity and giving environmental benefits. The Programme is delivered by the Soil Association, in partnership with the Organic Research Centre and supported by Waitrose Duchy Organic. Love these so bought one for a friend, she loved it too. Yes I would buy this porduct again! I bought two bee bricks as gifts. One for my son and the other for a friend. They made unusual birthday presents and were received very well.